Complaints of chronic lower back pain are very common. Prevalence estimates have suggested that between 40 and 70% of adults will experience some form of lower back pain over the course of their lifetime. Specifically in terms of chronic lower back pain, the treatment of choice has been caudal steroid injections. Administered in the lower back, caudal steroid injections have typically included a combination of steroid and anaesthetics to reduce and relieve nerve pain. Indeed, epidural steroid injections are well documented to be the most widely utilized procedure for treating chronic and acute pain episodes. The reason for this is likely that they are relatively quick, and the pain reducing effects can be achieved quickly. In fact, most patients benefit from the injection’s immediate effect of reducing their pain. Thus, patients are able to almost immediately resume daily activities. One study on the use of epidural steroid injections reported that nearly 75% of the sample experienced a 50% improvement in daily functioning following treatment. While the precise mechanisms of action are largely unknown, it is primarily believed that steroid injections serve to reduce nerve pain through its anti-inflammatory effects. Indeed, steroids have other properties beyond the anti-inflammatory characteristics that also likely play a role in their effectiveness. For example, steroids also act to stabilize nerve membranes and inhibit the conductance of ions, both of which are also viable explanations for the relief of pain symptoms. A recent meta-analysis examined the effectiveness of caudal steroid injections over the course of the last ten years. Findings from this study echo previous work supporting the use of steroid injections for managing pain. Long-term effects of steroid injections, however, are not as clear. Some patients have experienced long-term benefits from the injection, while others have not. Given that these injections are safe, patients who did not enjoy long-term relief from their pain are able to receive multiple treatments over the course of a year for managing their pain. How is a Caudal Steroid Injection Performed? Within the spinal canal, the spinal cord is surrounded by the cerebrospinal fluid (CSF), which acts as protective padding for the nerve bundle of the spinal cord. The spinal cord and the CSF are held in place within the spinal canal by a durable membrane. The caudal steroid injection is given in the epidural space, which is the area just outside of this membrane. 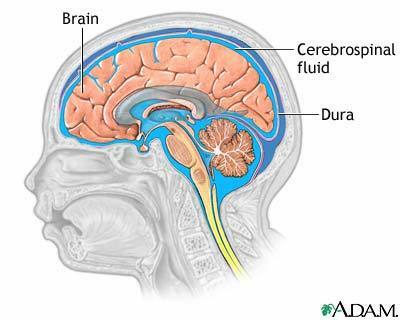 The irritated roots of the nerves are located in this area. This type of injection is administered using two types of pain relieving chemicals. A steroid is administered to this area to reduce irritation and painful inflammation of the nerve roots. Further, an anaesthetic such as Lidocaine is also administered. This chemical is thought to reduce pain by interrupting the nociceptor transmission. In order to reduce the amount of exposure the patient has with the steroids, they are typically only administered in the areas with the most inflammation. Caudal steroid injections are non-surgical, easy to administer, and are generally painless. They can be administered within an outpatient setting. Further, most patients treated with steroid injections are expected to feel an immediate reduction or elimination of their pain following the treatment. According to a study examining the use of multiple injections, there is support for the benefit of administering multiple injections over the course of the year to patients who’s pain initially had only a moderate response to the steroid injection. 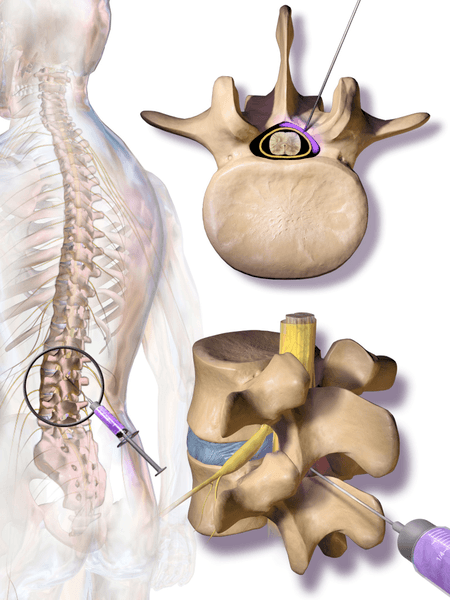 Caudal steroid injections are a quick and relatively painless treatment for nerve pain associated with the compression and irritation of the nerves along the lower spine. These nerves extend out from the spinal canal and down through the lower extremities, which causes the pain to feel as though it is radiating down the patient’s buttocks to the legs. Steroid injections are believed to be effective due to their anti-inflammatory qualities but the literature is still unclear. Many patients who receive the steroid injection are able to feel immediate relief from their pain and return to their daily lives. Andreisek G, Jenni M, Klingler D, Wertli M, Elliott M, Ulbrich EJ, Winklhofer S, Steurer J. Access routes and reported decision criteria for lumbar epidural drup injections: A systematic literature review. Skeletal Radiol; 2013:42(12)1683-92. Boswell MV, Trescot AM, Datta S, et al. Interventional techniques: Evidence-based practice guidelines in the management of chronic spinal pain. American Society of Pain Physicians. Pain Physician. 2007;10(1):7-111. Cervera-Irimia J Tome-Bermejo F. Caudal epidural steroid injection in the treatment of chronic discogenic low back pain. Comparative, prospective and randomized study. Rev Esp Cir Ortop Traumatol. 2013;57(5):324-332. Friedman JH, Dighe G. Systematic review of caudal epidural injections in the management of chronic back pain. RI Med J. 2013;96(1):12-6. Manchikant L, Cash KA, McManus CD, Pampati V. Fluoroscopic caudal epidural injections in managing chronic axial low back pain without disc herniation, radiculitis, or facet joint pain. J Pain Res. 2012;5:381-90. Manchikanti L, Falco FJ, Pampati V, Cash KA, Benyamin RM, Hirsch JA. Cost utility analysis of caudal epidural injections in the treatment of lumbar disc herniation, axial or discogenic low back pain, central spinal stenosis, and post lumbar surgery syndrome. Pain Physician. 2013;16(3):E129-43. Murakibhavi VG, Khemka AG. Caudal epidural steroid injection: A randomized controlled trial. Evid Based Spine Care J. 2011;2(4):19-26.